The new director of the ANP (National Agency of Petroleum, Natural Gas and Biofuels in Brazil), Magda Chambriard, has great challenges ahead, “improvement” and “deepening” of the regulation of ethanol, to ensure a stable supply of biofuel in the country. 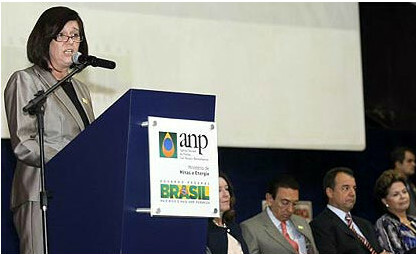 This was the position of President Dilma Roussef during a speech . Dilma said that it is necessary to ensure that this regulation permits something that is essential in energetic activity, which is the guarantee of supply and stability in the supply. And that there will not be fluctuations creating instabilities in the fuel sector in the country. “We are the ones that have accomplished high productivity of the first generation ethanol and we want to keep it. Ethanol cannot lack in Brazil,” said the president.